The all-Pac-12 forward got an honest assessment of what he needs to do to have an chance at getting picked in the NBA draft and is looking forward to helping the Huskies end their seven-year NCAA tournament drought in his senior season. Noah Dickerson had a pretty good idea what the NBA people would say when he asked for an informal evaluation of his pro prospects. 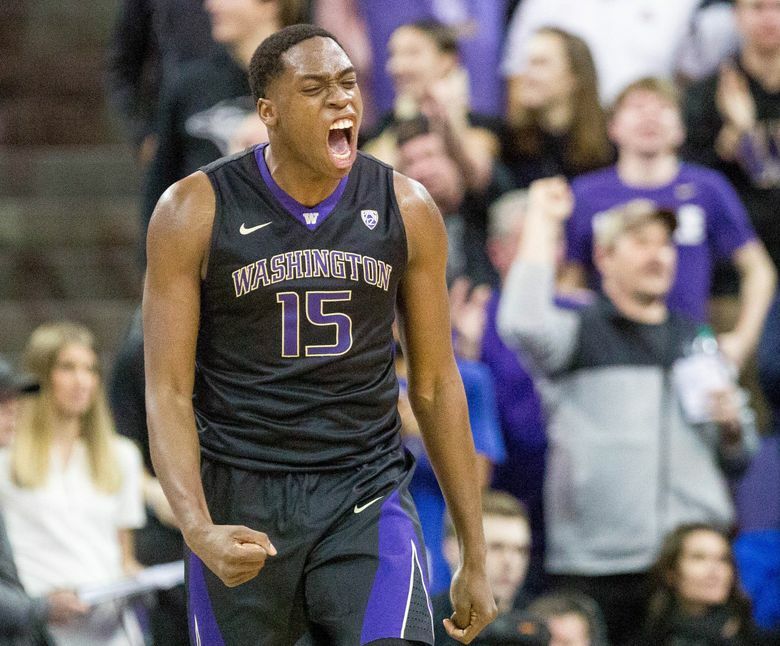 Still, the Washington Huskies standout entered the NBA draft without an agent in March and considered leaving school with a year of eligibility remaining. Through intermediaries, the 6-foot-8 forward received an unvarnished assessment of his basketball ability. The report also listed a slew of concerns that ultimately drove Dickerson back to the Huskies for his senior season. By most measurements, the 2017-18 season was a breakout year for Dickerson, who raised his scoring average 3.0 points to 15.5 points despite playing slightly fewer minutes. The first-team All-Pac-12 performer also averaged 8.4 rebounds while shooting 56.9 percent from the floor and 78.6 percent on free throws – all career highs – while helping UW to a 21-10 record in Mike Hopkins’ first season as coach. Still, Dickerson hasn’t generated much pre-draft buzz. He didn’t snag one of the 69 invitations to the NBA draft combine and was considered a possible second-round pick, according to several mock drafts. Dickerson dealt with shoulder pain during the offseason and a back injury that occurred while weight lifting prevented him from working out with NBA teams. Dickerson, who is on track to attain a bachelor’s degree in communications following the winter quarter, never seriously contemplated leaving school to play overseas and hopes to re-enter the draft next year. With the arrival of Bryan Penn-Johnson, a 7-foot center, Dickerson envisions more minutes at power forward and scoring opportunities away from the basket. With the return of its starting five and eight of the top nine scorers, including four seniors, Washington is the most experienced team in the Pac-12 and should contend for a regular-season championship. Dickerson said it would be heartbreaking if the Huskies don’t snap their seven-year NCAA tournament drought next season. “There’s not many teams that has four guys come back that have contributed and played a lot as seniors,” Dickerson said. “We’re going to have a competitive edge over everybody. … This is our last go-around so we want to end on the right note.